As the world becomes a smaller place, the role of networks is rapidly changing. Where once the challenge was to connect entities over large distances, modern networks focus on increasing the effectiveness and efficiency of day-to-day personal and business operations. Cisco is a major player in the global networking industry, with a particular focus on the broadest network of all – the ‘internet of everything’ (IoE). Chris Dedicoat, Cisco’s President for Europe, the Middle East, Africa and Russia, spoke to European CEO about the opportunities the IoE affords. How would you define the IoE? It’s one of the most exciting and remarkable developments in the history of technology and, indeed, in the history of economics and society. Basically, the IoE involves bringing together people, processes, data and things to exploit the internet’s unrivalled global capacity for making networked connections more relevant and valuable than ever before. By doing this, the IoE can be used to turn information into actions that create new capabilities, better experiences, and unprecedented economic opportunities for businesses, individuals and countries. The IoE will take the internet beyond even what it is today. It’s enabling all sorts of objects and entities to be fitted with both visual and sensory detectors that will provide an enormous stream of data that can be analysed, largely on an automated basis. This will allow corresponding decision-making, creating new opportunities to understand processes, and delivering solutions which will benefit absolutely everybody. How will the private sector be affected by the IoE and what kind of industries will it change the most? In the past, the model of how customers bought things from organisations was based on the idea of trading money for a particular object. This, of course, particularly applied to the world of manufacturing, which is one of the industries most profoundly affected by the IoE. By giving a completely different dimension to how customers use manufactured goods, the IoE also enables manufacturers themselves to deliver not just products, but also services which are related to, or bound up with, those products. In fact, manufacturers are highly motivated to do this because it will mean more revenue for them and, ultimately, a much better service for their customers. In addition, on top of the services they can deliver on the back of their products, they can also develop new revenue streams that thematically match the products they’re selling. For example, Philips now runs city lighting networks as well as making top-quality light bulbs. What about the potential of the IoE in the public sector? Entire city infrastructures, including streets, highways, healthcare resources and education, would benefit from the IoE. For example, video-based information about the volume of cars going along particular streets or information about patient use of resources in hospitals can be collated, often automatically, and resources can be distributed with unprecedented efficiency. 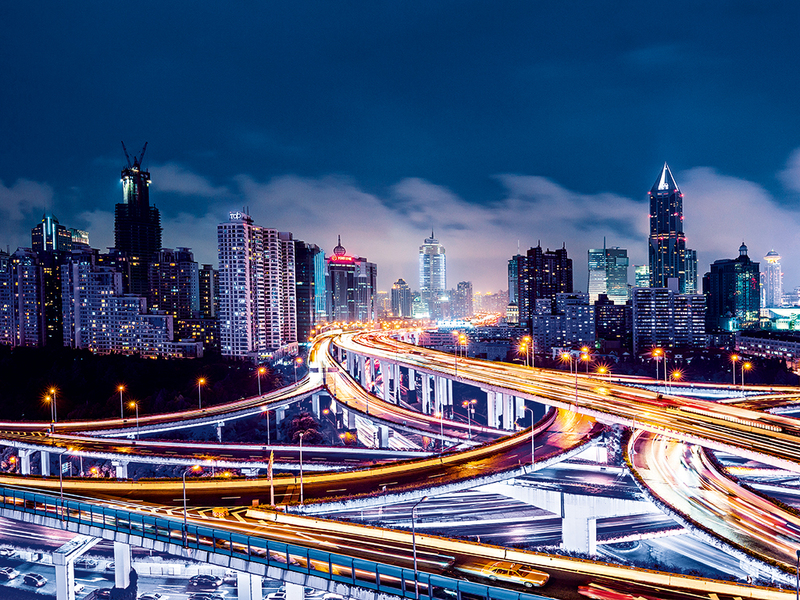 Are Cisco’s Smart Cities leading the way in how this technology works? Yes, absolutely. Cisco currently spends $6bn per year globally on research and development and we are passionate and utterly committed to implementing the fruits of that research in situations which benefit people. We are proud of our Smart Cities projects, which are leading the way in terms of how the IoE can be used to provide information about public utilities in cities – for example, lighting, transport infrastructure, power and human resources such as policing, and target those utilities at those who most need them. Here’s an example of the IoE in action: a driver in search of a parking spot navigates the streets of a busy city or town. Meanwhile, a parked vehicle leaves its parking spot. As the car that’s leaving the spot starts to move away, an underground sensor detects the vacancy and sends a signal in real time, notifying the motorist of the available parking space through a mobile application. The IoE is ultimately about gathering crucial and critical information and making it available in real time, often through mobile applications, to people – whenever and wherever they need it. Why is the internet necessary for this new technology? Why isn’t it possible to do this via a private network? That would theoretically be feasible, but the simple problem is that the cost would be extremely high and, in most cases, prohibitive. How is Cisco driving innovation in Europe, the Middle East, Africa and Russia (EMEAR)? As an international organisation, we see the EMEAR region playing a fundamental part in our global vision of using technology and networks to deliver life-changing services to people and organisations around the world. In EMEAR itself, we are currently investing more than $1bn per year in technology, particularly in the IoE. What security requirements does the IoE bring with it? Basically, the security need and process is threefold. Firstly, the network needs to be able to register that there is a security issue. Secondly, the security issue needs to be isolated to prevent it proliferating. Thirdly, the system then needs to remedy the security issue. It’s vital that the data used in the IoE is protected because the very fact that more and more people are going to be relying on it in their daily lives, often with life and death implications, means that security is paramount. Will cloud computing play a part in the IoE’s expansion? vitally important information being held in the cloud may be somewhat new or even alien for many people, it’s unquestionably the future for data storage. What is ‘fast IT’ and how is it changing the way companies operate? As demands on IT increase and organisations face pressure to innovate, a new IT model is required – fast IT. Uniting all areas of the IT environment, fast IT enables organisations to implement software and applications quickly and efficiently, once they have been properly vetted and made secure. It ultimately gives organisations and their employees the kind of rapid access to applications people are already used to receiving on their smartphones. What are the issues in enterprise governance and risk management? In the area of enterprise risk, the big issue is how to avoid breaching rules, which is particularly true in areas such as finance. Technology that is delivered via the IoE facilitates compliance. The implication for governance is that breaches of these rules can be detected by compliance officers using technology. How is Cisco promoting young talent in IT? Young people today are growing up much more technologically aware and savvy than previous generations. As such, they want to work in a sophisticated environment, where they feel really energised by the way that technology is used. At Cisco, we take positive steps to encourage young people to enter the IT industry, be it through our apprentice schemes, our Cisco Networking Academy or through our graduate programmes. Talented young people who have a passionate interest in what technology can do bring a different mindset. In the future, they will be the people who are capitalising on the IoE, transforming people’s lives and the entire way that businesses operate.